I have made bears in the past, but I always made them out of fur. I can’t stand using fur. As I said last week I have made one out of fabric. I used a vintage piece of feed sack fabric. I decided I wanted to use a heavier weight fabric, something with texture to it. I did not want to use plain muslin. I then decided on a pattern I chose one by Sweet Meadows Farm. You can get them on etsy as an instant download. Here are the easy steps to making this bear. Step 1 – Choose your pattern. Trace and cut out pattern pieces from freezer paper. Step 2 - Iron you pattern on a doubled piece of fabric. Make sure you place the paper shinny side down on your fabric. The paper will stick to the fabric and all you have to do is sew around it. Step 3 – After you have sewn around the pattern pieces, remove the paper and cut the pieces out. Now turn to the right side and stuff and assemble the bear as per the pattern’s instruction. Step 4 – Give our bear a personality. When you put his head on make sure you atilt it a bit. This Twill give your bear an expression. Sep 6 – Here is a pic of him done but no dyed or any eyes, nose or mouth. Now take the bear and add a nose and eyes, I use tiny rusty bells, for his eyes, you can use whatever you choose. Step 7 – Dye your bear, you can use Walnut Ink or tea for this. After he dried I sanded him with a fine grit sandpaper. I added a cheesecloth tie around his neck and he is done. I will have to start making bears again. I love the way they turn out. What do you think? ...and now for a shameless plug for me, he will be listed on etsy tomorrow afternoon. Don't you just love sunflowers? I sure do! Today I'm featuring a whole group of handmade sunflowers. You can see all of them up close by CLICKING HERE. Well I hope that everyone had a wonderful Memorial Day and spent the day enjoying with family and friends. We are truly blessed and I want to thank everyone who has served to keep this country free. 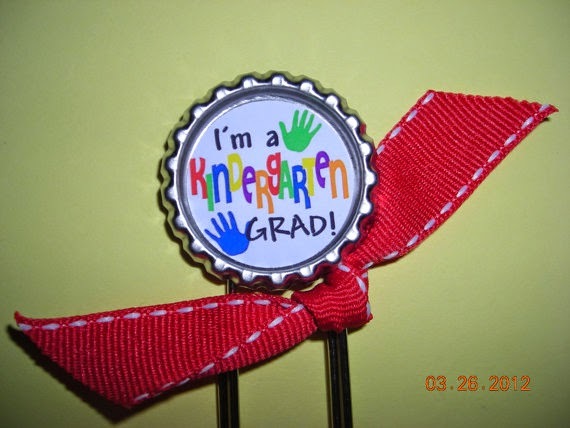 Now that Memorial Day is over and most kids are out of school (except my grandkids which have a couple of more weeks!) the summer vacation and outing plans start coming together. With that you will need to get supplied and ready to go to head on out on your summer of fun. 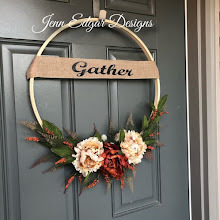 I think we will look at some of the different ways people spend their summer vacations and what you will need.....and of course you know that the Etsy shops have wonderful items for this. 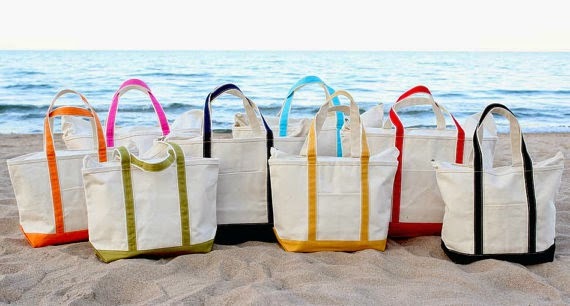 Many people will be visiting the beach this summer so of course you will need a beach bag. DesignsByApril1234 has these wonderful bags and you can pick your color and have them personalized! What a great idea. And then there is the all time favorite summer past time....picnics! And what better way to spend the day in the sunshine than having a picnic of fried chicken, potato salad, and all the other goodies that go with this. 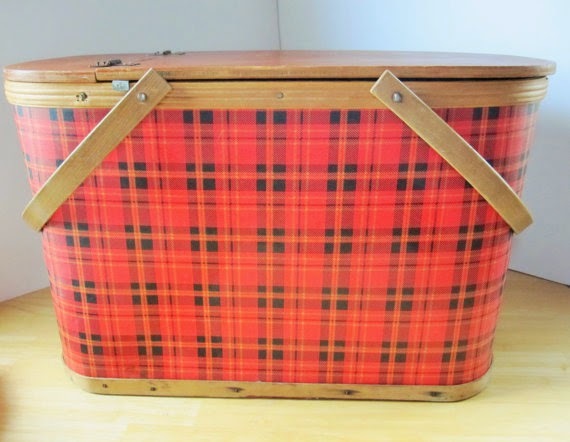 And of course you will need to have the "picnic" basket to put them in so why not take this wonderful vintage one from ZulasHouse. And last, but not least.....the all time tradition of the backyard barbecue! 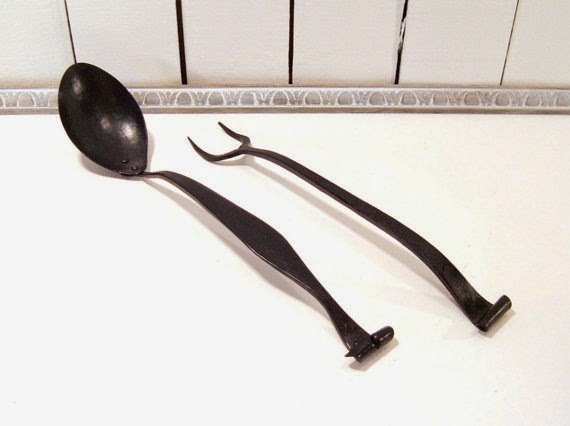 This time of year is the best time to have those barbecues and if your are having friends over or just your family you will need the right equipment for turning those burgers and flipping those steaks so why not use these wonderful hand forged utensils from FrogLevelFarm. 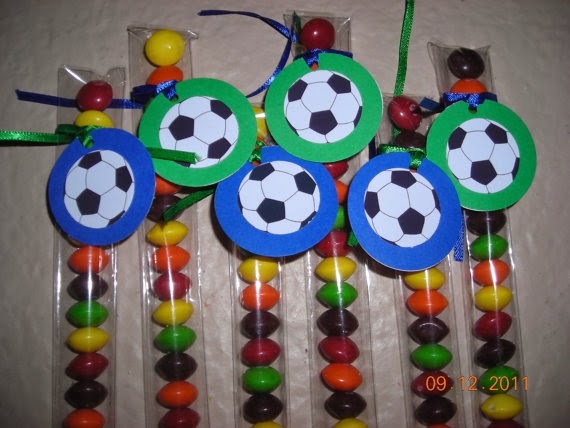 So no matter what your summer activities are make sure you have the "goodies" to have that summer full of fun. So....what are your plans for this summer? 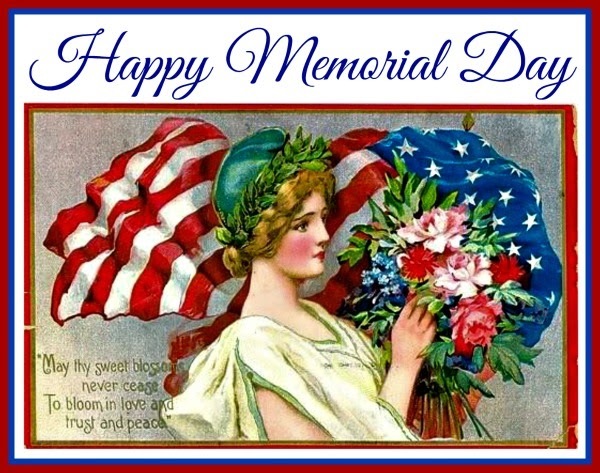 Jacquie's Up-Cycle Nation: Happy Memorial Day! To all who serve, who have served, and who support our soldiers with love and honor; a very Happy Memorial Day! 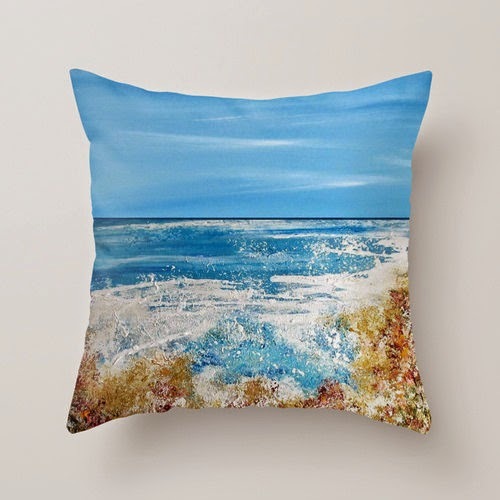 I am currently travelling and will be back next Sunday with more fabulous Etsy up-cycle artists! 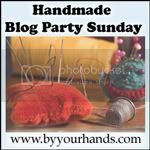 Welcome to our Blog Party Sunday. We would love to have you show us what you are making. May is National Scrapbooking Month and to celebrate I'll be sharing some great paper crafting shops all month long. 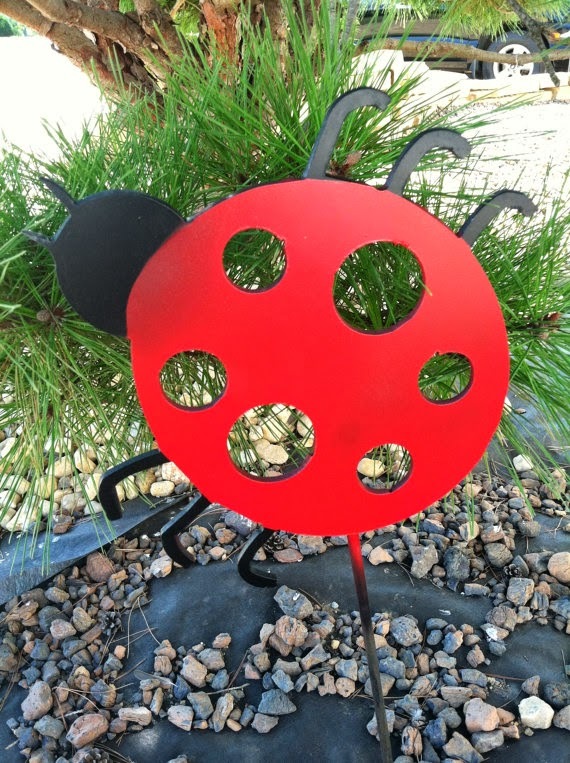 Today's featured shop is Jojobean Designs. 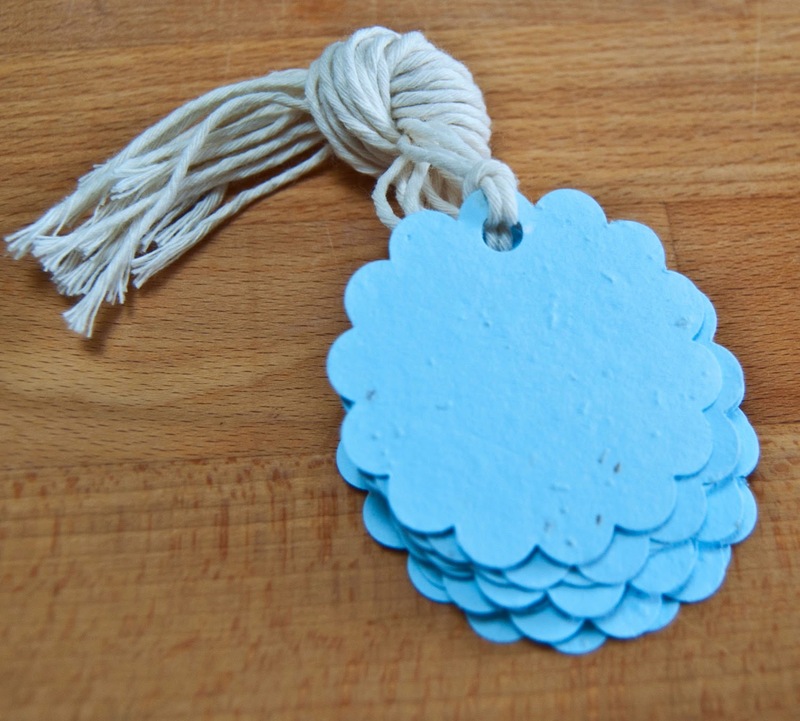 Jojobean Designs specializes in plantable seed paper and earth-loving party goods. Thank you for joining us today and be sure to stop by and visit Jojobean Designs. I have been on vacation so I don’t have any craft this week, but I do have an idea. We spent the past 4 days at the beach, (yeah me), on the way home we stopped at a few antique shops. I bought some very cute vintage doll dresses and slips. After I bought them, was trying to think what I would make to put them on. I thought bears would be great, then I thought no, then yes…anyway...let me digress a bit first. Years ago I made bears all the time and as much as I liked the end result, I hated working with fur. Every time I made a bear it looked like a cat exploded in my studio. I was over the bear making for quite some time. I have now decided to make a few again and dress them in the vintage doll dresses I bought, but I am not going to use fur. No more picking it out of the seams for me. I am going to use other fabrics and see what happens. 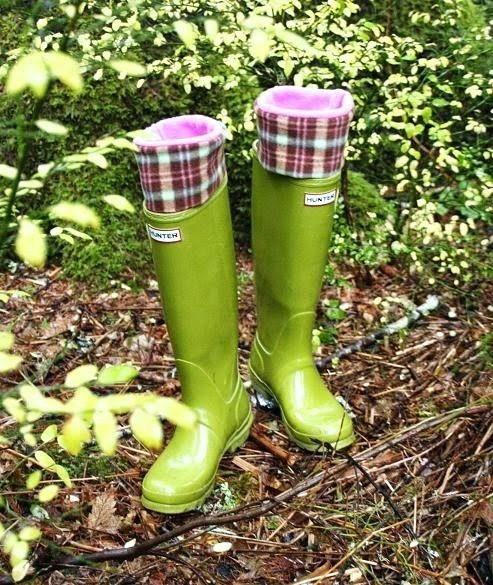 I want them to look worn, torn and well loved. I thought I would use warm and natural cotton quilt batting, or maybe old feed sacks I have. Until then I made a pintrest board for some inspiration. Take a look and I will talk with you next week. The Old Farmhouse Gathering (ofg) etsy team is have a Summer Celebration. The shops that are participating have added new handmade summer themed items. To see everything, visit etsy.com and search with the letters SCOFG. Below is a sampling of what they're offering. You can get a better look at these items by CLICKING HERE. I am sure everyone is busy getting the gardens and flowers all planted and the grill ready to go, but let's not forget about the inside of your home and bringing in the summer decor. To get your home ready for summer you can bring furniture and fixtures that normally you would think of having them outside into your home. Wrought iron can be used to create a garden or cottage theme space inside. This bench would be great with a nice ocean theme cushion on it and you could sit it right by the front door. That is if you have room there. 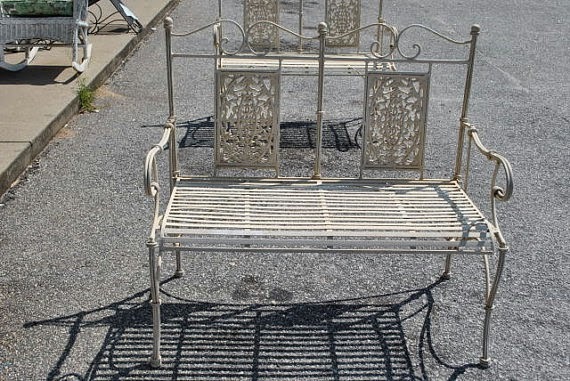 :) Aardvark Antiques on Etsy has this available. Then there is wicker. I love wicker furniture. I think it is so neat and clean and vintage. It is always good inside and out and it cleans so easy too. 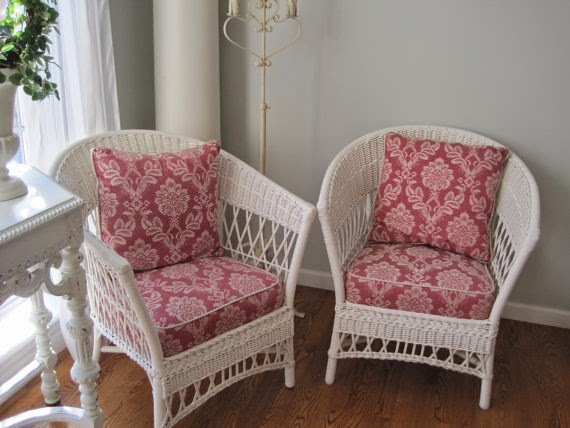 These two chairs from Vintage Home Goods are absolutely gorgeous! I would love to have them in my house. I can't decide which one I like best.....hmmmm.......guess I like them both. 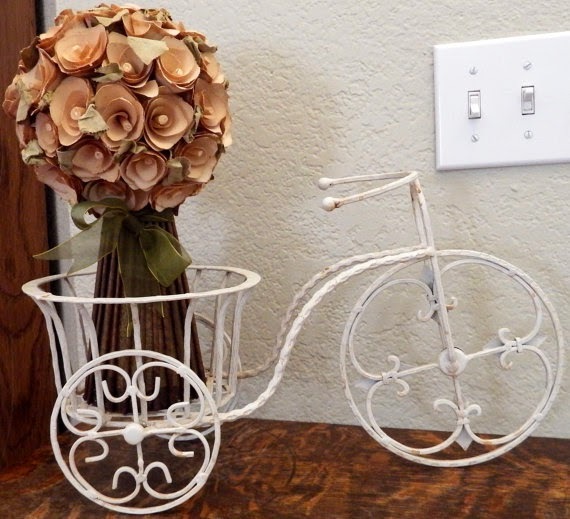 So as you can see there are many ways to decorate your home in a summer theme. These are just a few ideas, but there are many, many more. The ideas are endless! Have fun! Map art is the way to go this spring! Colorful and nostalgic, paper maps are being recycled into new works of whimsy popping up at parties and as fresh decorations. These Etsy up-cycle artists are ready to fill the map craze demand! 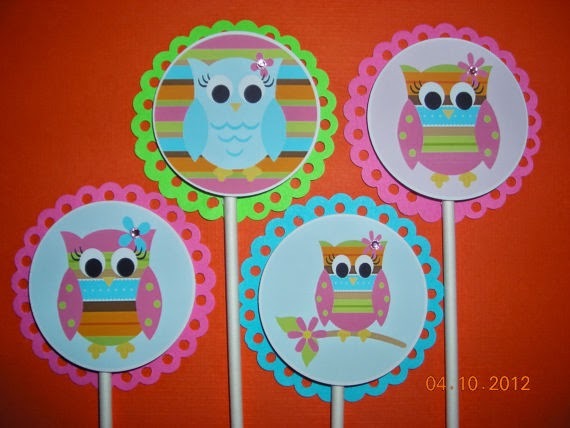 Celebrate spring with a sweet garland of colorful birds! 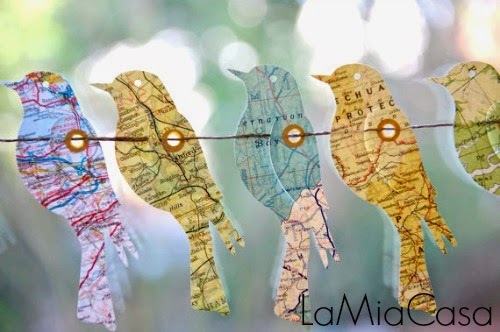 LaMiaCasa crafts cottage chic beauties from a wide variety of papers including vintage atlas pages. Swing into her shop to feather your spring nest! 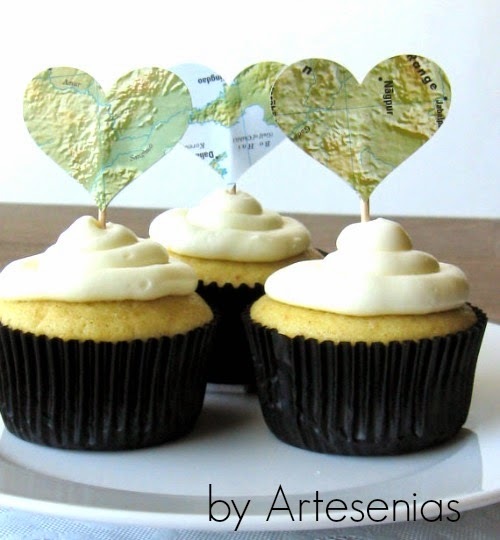 Put that cupcake on the map with topography toppers from Artesenias! Map art is only a small portion of this artist's inventory of festive fun. 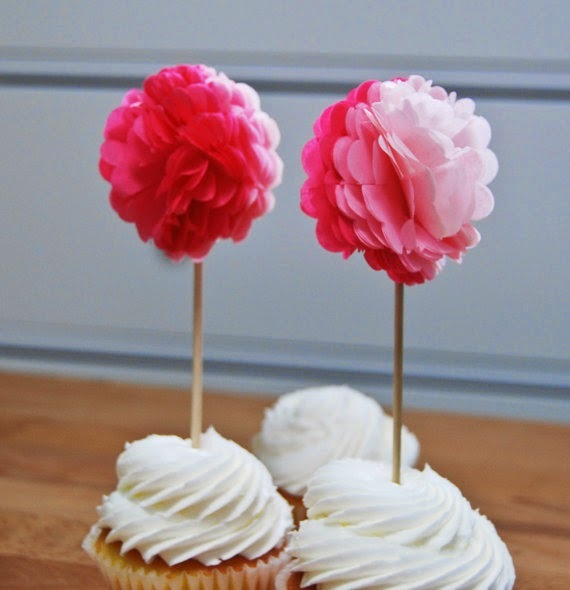 Favorite this shop for one stop party planning! 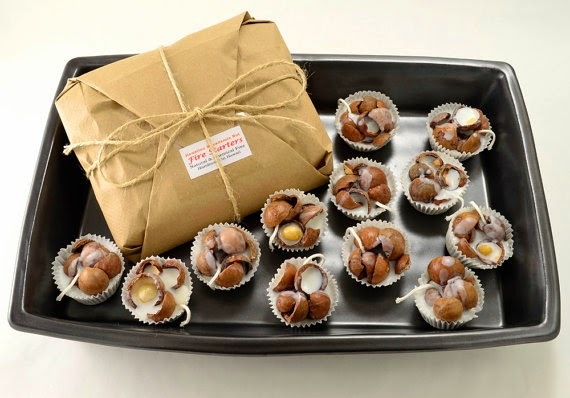 Pair party cupcakes with coordinating treat bags form TCWitcraftFactory! These small favor sacks come with compass stickers to seal the look. Shop here to continue the travel theme with hand carved stamps. 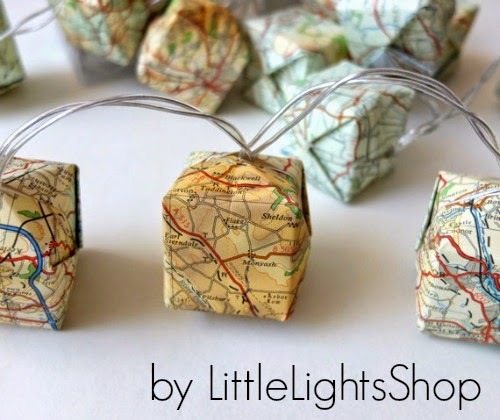 Add cottage kitsch to any space with up-cycled map-wrapped lights from LittleLightsShop. Perfect for the travel trailer on summer road trips! Decorate the office cubicle to keep those day dreams alive. When a map is involved the possibilities are endless! 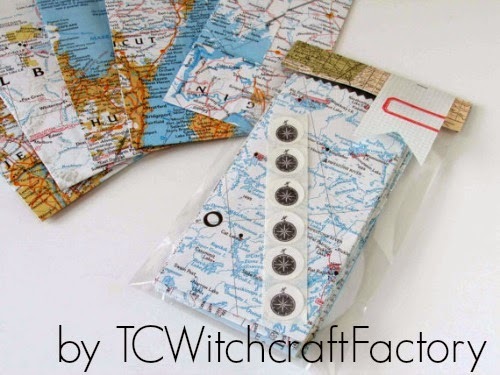 For more up-cycled map style search recycled map on Etsy. Step 1 – Paint your little peat pots any color you choose. I used regular craft paint, let it dry. Paint a second coat. Let it dry. 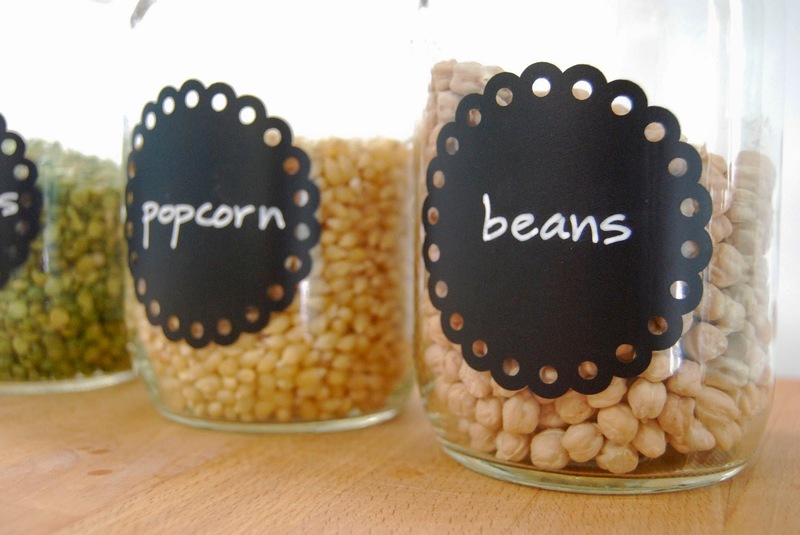 Step 2 – Find a graphic you like and print it out. Glue it onto the side of the pot. Step 3 – Cover pot and graphic with a clear wax like Johnson’s paste wax. Let dry about 10 minutes. Step 4 – Cover the pot with a coating of dark wax, Min Wax makes a really good one, now before it dries wipe it off. Be careful not to rip your little pot. After you rub off the dark wax let it dry for an hour. Now buff it out with a clean rag. Step 5 – Put some Spanish moss inside the pot and place the candle in on top of it. (You can paint the candle base so it is not so white). I did a red, white and blue one, but you can do anything on the pot you want. 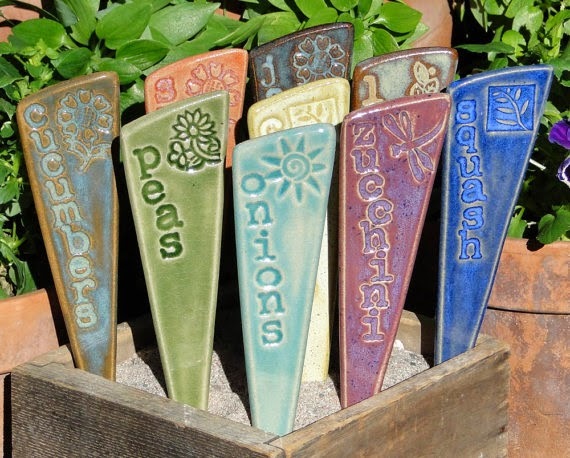 These would look great placed along the mantel, on a windowsill, or tucked into a corner of a little shelf or cupboard. You can make ones that are shabby cottage chic by not using the dark wax, or you can make them look like pumpkins at Halloween. Hope you enjoy and make some of these great little tea light holders and remember DO NOT USE REAL CANDLES! Enjoy. What an awesome grouping of star items made by members of the OFG Etsy Team. To get a closer look at these items, CLICK HERE. Now that we have the tools for our gardens and know how to plan them, we now need some art for our gardens. 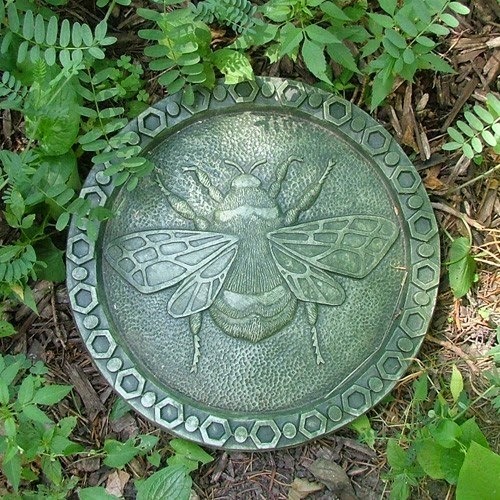 Garden art always adds something special to our gardens and I always enjoy looking in all the nooks and grannies of a garden to see all the neat fixtures. Here are some "finds" that I found from the wonderful stops on Etsy. 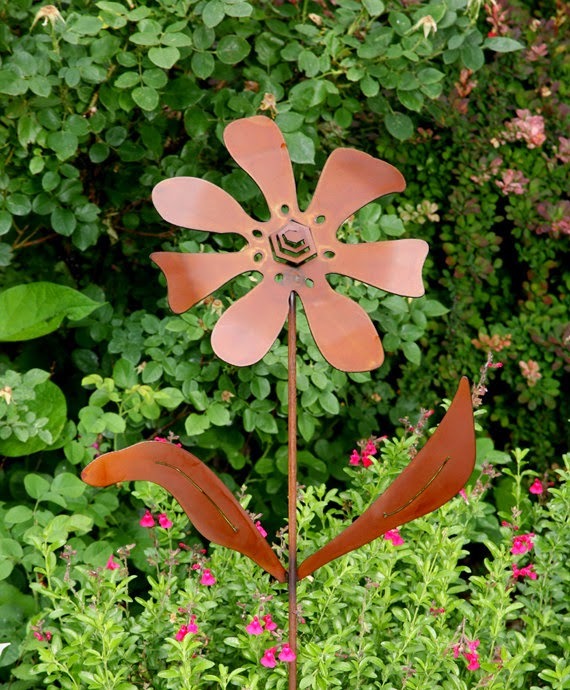 Every flower garden needs some daisies and EarthStudioMetalArt has this great rust metal daisy. Would look great in a southwest garden. 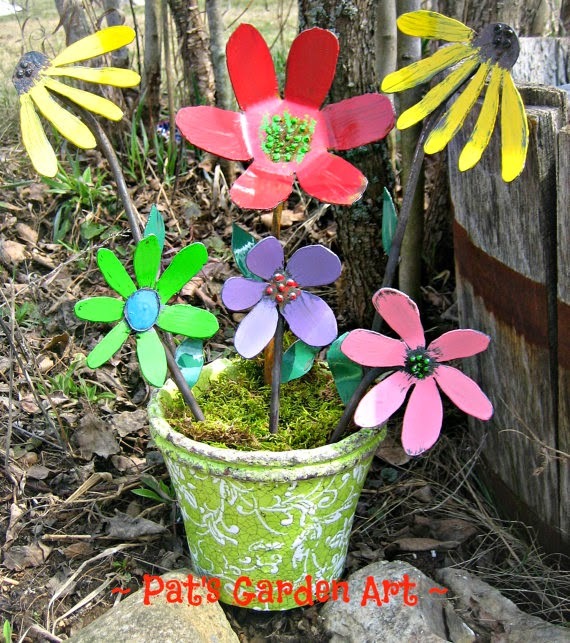 Patty at PatsGardenArt has these cute metal garden flowers and I love all the colors. These flowers would fit into the garden area pretty good. Now you can get busy planning your gardens, planting your gardens and add "goodies" to your gardens. May flowers are blooming and that means time for tea in the garden! Whether you are planning a party for 20 or tea for one, these Etsy up-cyclers offer up inspiration. Raise a pinky with vintage tea cups! Delicate patterns and spring colors liven up any social setting. 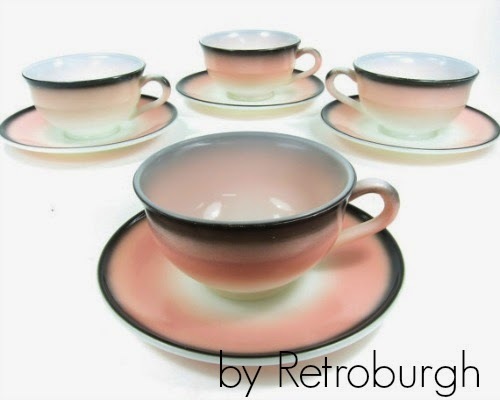 Start your shopping with these lovelies from Retroburgh and browse around this shop for the perfect pop of kitschy color. Fill those cups with herbal teas from KyraBotanica. 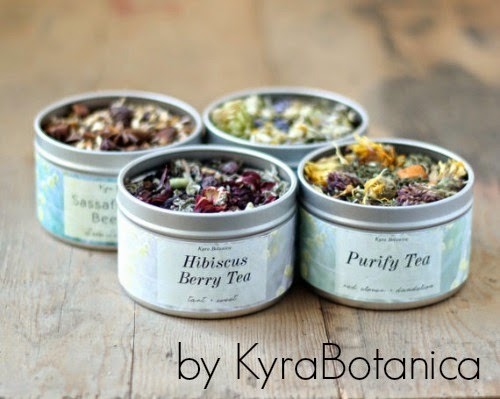 Flowers and herbs crafted in to fine teas, body sprays, and all natural salves. Mother Nature smiles on those who up-cycle her creations and KyraBotanica has the perfect gift for every summer birthday girl. 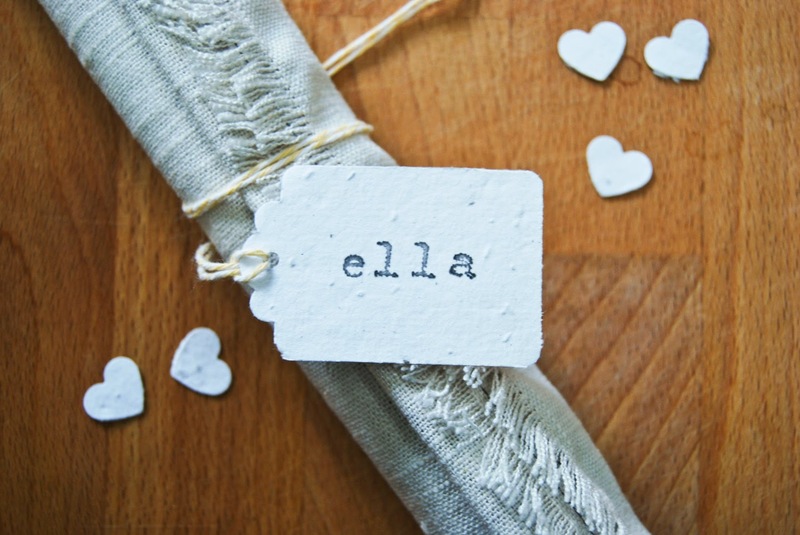 Tea towels become conversation starters when they're hand-crafted by JensNextChance. 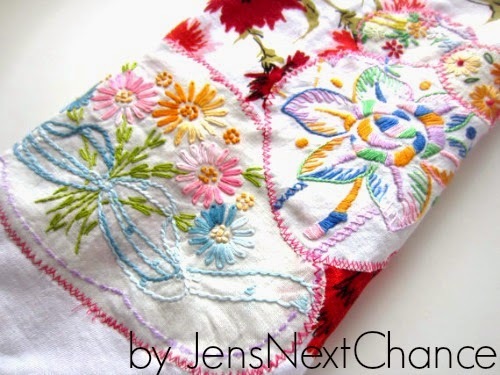 Vibrant embroidered remnants combine to form stunning new cloths as bright as a May garden bouquet. 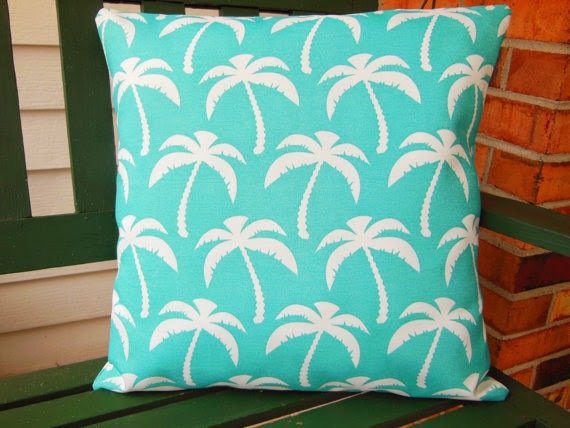 Visit this Etsy shop for the next wave of cottage chic! No tea party is complete without that flirty dress. 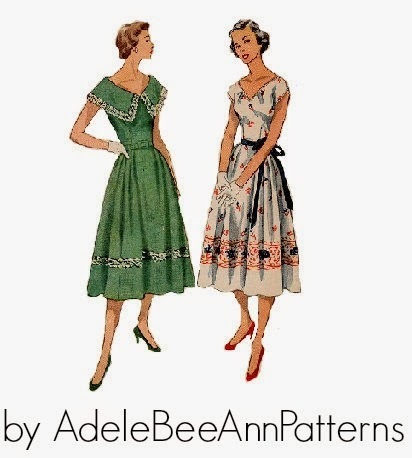 Custom tailor a perfect fit with vintage patterns from AdeleBeeAnnPatterns. With a wide style selection dating as far back as the 1920's, this shop has couture covered. For more fabulous tea party finds search upcycled tea on Etsy. May is National Scrapbooking Month and to celebrate I'll be sharing some great paper crafting shops all month long. 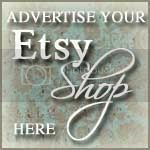 Today's featured shop is JustTheCuteStuff. 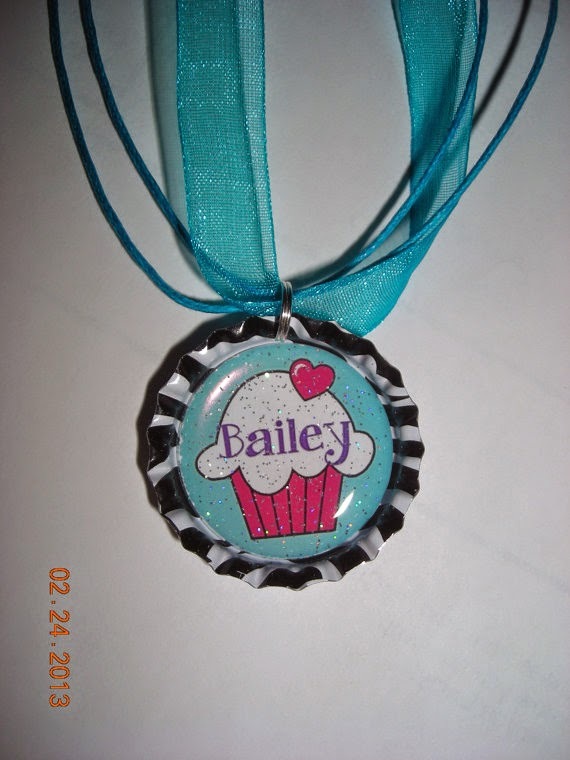 If you are looking for the perfect party favors, matching cupcake toppers or bottlecap items Just The Cute Stuff is the place to be! 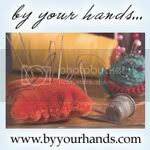 Thanks for joining us today and be sure to stop by and visit JustTheCuteStuff.